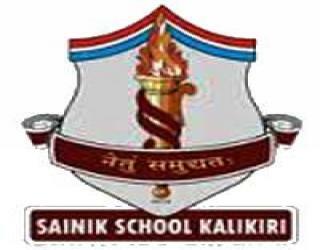 Kalikiri Sainik School, Chittoor Recruitment Notification 2018.Sainik School Kalikiri, Chittoor inviting applications for the positions of bandmaster, counsellor and physical training instructor/ coach posts.Interested and Eligible candidates can apply for the positions. Total number of posts to be filled in Sainik School Kalikiri, Chittoor is various. Post names are given below. Between 21 to 5 years candidates as on 01st April 2018 candidates can apply for Band master post. Between 21 to 40 years candidates can apply for counsellor post. Between 21 to 35 years candidates can apply for Physical training instructor post. Through offline mode candidates can submit applications by 29th August 2018.
www.kalikirisainikschool.com candidates can download application form and send to below-given address. Chittoor, Kalikiri, Andhra Pradesh 517234.